I have been testing the Evolv Shaman rock shoes for a few weeks now and here are my thoughts on them. The Shamans have a lot to live up to. 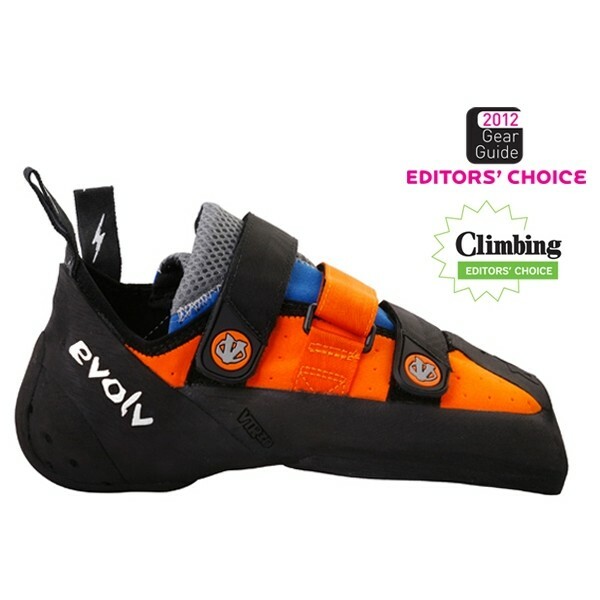 They have won a number of awards including the Editors Choice awards from Urban Climber and Climbing. 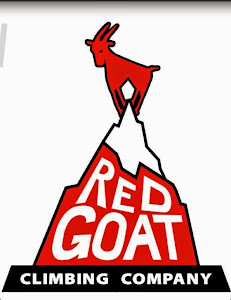 They have even been developed by rock climbing god Chris Sharma. Last but not least with a name like Shaman these things should have magic powers. Comfort: For a very aggressive shoe the Shamans are really quite comfortable. I have to admit that the first few times I put them on they were super tight but after a few uses they started to feel a lot better. The uppers are made from a synthetic fabric, called Synthratek, which doesn't stretch very much, unlike leather. This means that they will fit about the same as they did when you first tried them on, although they are likely to mold to your foot a bit. Synthetic fabrics do tend to smell quite bad, so let them dry out properly after use! I had a quick sniff of mine last night and they weren't too bad really, but I did identify some faint unpleasant undertones which I can only describe as pig slurry. Hooking: Shoes always fall off my feet when I heel hook. It was something I was beginning to accept up until I used the Shamans. These things stick to my feet as well as they stick to the rock! There is a nice big patch of rubber over the toes which helps to stick toe hooks. Rubber: Evolv's Trax XT has been formulated to be the best performing rubber on the market and I might have to agree with them. This stuff is so sticky that I managed to stick them together tip to tip (see photo)! The down side of super sticky rubber is that it is quite soft. Evolv are very environmentally minded with respect to their rubber. Where 100% friction isn't needed they add in 30% recycled material. Precision/Feel: The Shamans have 3 velcro closures which gives a precise glove like feel. The toe box of the shoe is featured with a Love Bump and Knuckle Box. This Evolv claim keeps your feet in a position of power while being very comfortable. Whether this is true I do not know but it does feel nice on your feet and eliminates hot spots. Sizing: I got these in a size 44, which is about the same as the Scarpa shoes which I usually wear. I generally wear a size 46 street shoe. Edging/Smearing: As I have said before the rubber is quite soft so isn't great on small edges. They also weren't that great on smears to begin with but they have softened up a bit, and thanks to the good rubber, perform well. 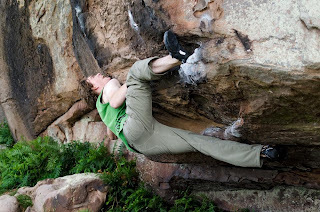 They have been developed primarily for steep things so once you start pulling onto foot holds they feel very good. Durability: Again very sticky rubber isn't going to last that long. But then again they might not slip off things quite as much so you get everything sent quicker, perhaps allowing them to last a bit longer. I wouldn't expect these to out live your bog standard wall shoes though. Overall: Ok so they will start to smell but they do feel so precise, the heel is good and the rubber is phenomenal. A top shoes. These get a maximum rating of 2 thumbs up! The Shamans are available from outdoorkit.co.uk with 10% off.